If you install air conditioners, you create and maintain a comfortable life or work place is a process of design, taking into account many factors including building design, aspect, anticipated workload and operation. The staff at Redsell want to supply you the most efficient and effective solution for your air conditioning requirements, using their skill and experience to your advantage. We can install air conditioners for all houses and business, big and small. If you need 1 room cooler or an entire high rise cool as winter, we are specialists in the area of design. Redsell install air conditioners in the at the right height and place in a room to use the room’s dimensions to lower the temperature to a comfortable level in the shortest amount of time, save you time and helping the environment, reducing your carbon foot print. Redsell also offering split and cassette systems which is the best solution for your lifestyle. As we us the best from the products, we maintain the best installation and back-up all our fit outs with a 5 year labour warranty. We install and design for all applications including shopping centres, offices and warehouses. Whatever the need, we can offer an well-priced and energy efficient solution. Regular maintenance on your air conditioning unit is a must to ensure efficient operation and to minimise costly repairs. For multiple units or commercial premises, tailored servicing agreements can be made. We want to work with you to maintain your air conditioning all year round. 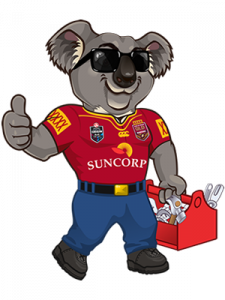 For the coolest Brisbane Air Conditioning company, contact with our team to discuss your maintenance needs.